One year down, people. Say buh-bye to 2015 and helloooo, 2016. And what better way to celebrate the beginning of something than with - wait for it - another much-anticipated release? That’s right. We’ve been on fire for the last weeks with the release of a new version of My Tokens and today I’ve got some great news - we’ve completed the development and now My Tokens 2.6 is out. There are a ton of ways you can use My Tokens to help make your life easier. But personalization is the word on every marketer’s and power user’s lips. There is a new Gold Rush going on right now, and the gold of the 21st century is data. There is a wealth of methods to put your company’s data to work; by far, personalization is one of the most exciting and effective. But while many DNNizens think personalization is too complicated to implement, or is too time-consuming to maintain, personalization is much easier than you'd think. To get started, all that you need to use is My Tokens 2.6, as it empowers you to harness the power of personalization to effortlessly provide unobtrusive and meaningful interactions with visitors across DNN portals. Implemented: [Portal:Guid] - Returns the portal Guid. Implemented: [DateTime:Week] - Returns a weeks first and last day. Implemented: [DoMath:Eval(Expression)] - Returns the result of a mathematical expression. Can contain tokens. Implemented: [Url:RewrittenQuery] - returns the entire query string as it appears on the server. Optimized initialization of token sources. Optimezed Database Token by not have it not run same query twice for same request if it fails. Implemented the ability to compile Razor scripts per host. Implemented the ability to support qoutes in default values for TknParams. Updated usage for String Utils Tokens. Added support for razor helpers. Implemented the ability to set DataProviders as SqlDataProviders in code. Implemented the ablility for SuperUsers to fallback to profile properties per portal. Implemented the ability to get as return, in case of HTTP errors, the error string. Implemented the ability to provide portalid for user and profile tokens. Implemented new interface for tokenization. Added Debug Message when MyTokens is not activated. Fixed the bug with the datetime fileds beeing saved as .NET objects in JSONs. Fixed the bug with the TknParams not working in Database Tokens. Fixed the bug with the Invalid user Tokens. Fixed the bug with TokenizableContainer when replaceing header tokens. Fixed the bug with the Razor Token not returning 0 for empty lists. Fixed HTML module patch for DNN evoq. Fixed the bug with the Portal settings not working properly inside tokens. Fixed replacing tokens with 3 levels of recursion from HTML modules. Fixed datetime access for relative operations. Fixed the bug when after the Activation the return URL was not working. Fixed tokens that have subitems like database tokens. Removed debug message "Query didn't return any data!" Fixed the bug with SetCookie Token permitting dash characted in cookie name. Fixed the bug with looping empty Database Tokens. Fixed the bug with Token parser throwing exception when a custom token contains subtokens. Fixed the bug with [DateTime:Now|mm dd, yyyy] not returning empty string. Fixed fixed escaped backslash in connection string of database tokens. Fixed the bug with String:RegexReplace Input containing parentheses not working. Fixed the bug with razor token improperly displaying the HTML module with CKEditor provider. Fixed the bug with View Profile module not displaying when Core Patch is enabled. There were really many instances where we have seen the concrete benefits, the net effect My Tokens has on our clients’ well being. Having seen the below reviews for My Tokens, though, we can safely say that we do make a difference through our work… and that’s a great feeling. Why did I wait so long to install and try this app? What a fantastic module, sorry I waited so long to install and try out. Once you collect your thoughts and establish a naming scheme the rollout of tokens were a dream. Will save so much time and human error... Update token and everything across the site is in-sync... no more locating every instance and fixing on a one-by-one basis. As we change organisation names often and our downloadable resources change these tokens will make this tedious work a breeze. ALSO, documentation and interface high standard and support outstanding! Kathryn W.
Hands down the best module I have installed! 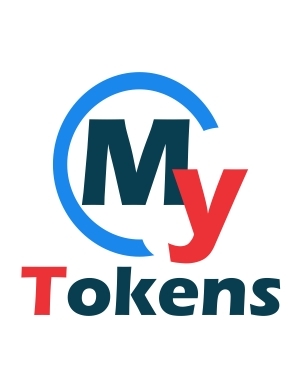 The My Tokens architecture is very powerful and if you know how to use DNN Tokens, this is a no brainer. If you are a developer who is still confused about how to develop a custom module for DNN, you can pretty much develop your entire module within My tokens. Kevin F.
All I can say is "Wow!" This is a really well thought out product with an excellent developer backing it up. The ability to use tokens for all kinds of purposes and integrations brings DNN to a whole new level. Add to that a company that is very knowledgeable and does what it says both timely and effectively and you have DNN Sharp. Patricia E.
I'm a huge fan of all their products. My Tokens is nothing short of an amazing tool that any developer needs on every site. The support is incredible. I'd give this product 10 stars if I could. Steve R.
I know you’re going to love this My Tokens release because it’s jammed packed with GOLD features, improvements and fixes. Perhaps it’s a little easier to understand when you see in action. What are you waiting for? My Tokens 2.6 will get you a step ahead, because you will be armed with features to drive bottom-line impact using personalization. High-fives all around to our colleagues for their hard work on this integration! We’re also really grateful to the My Tokens community for your patience during this update. We appreciate every bit of feedback we’ve received. The improvements made to the module over the past 7 years are thanks to all of you. We’re really excited to see where My Tokens is! Heck yeah, we did it!